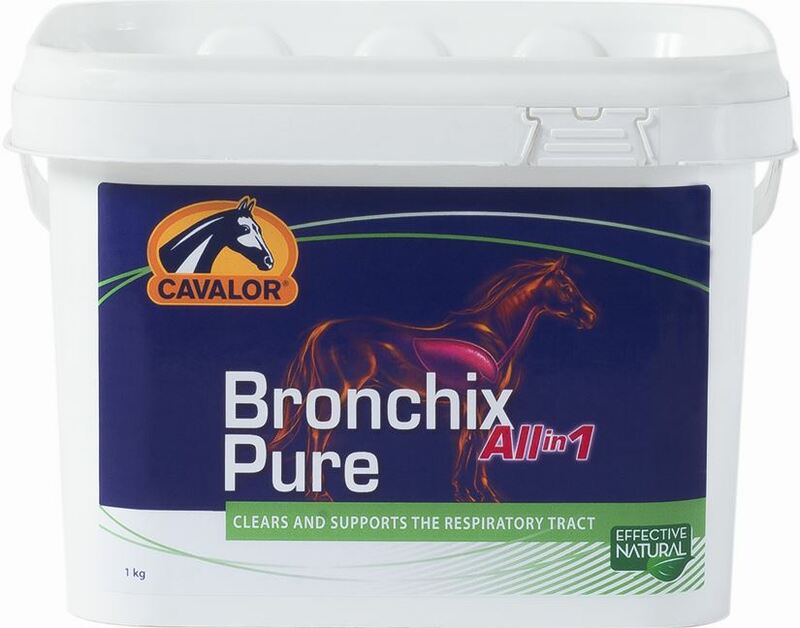 Bronchix Pure all in One is herbal mixture designed to soothe and clear the upper respiratory tract and lungs, while increasing and supporting the horses’ natural immunity. This would make the product suitable for a horse than has suffered from an respiratory infection and is struggling to clear it, or in conjunction with medical treatment for a horse with chronic respiratory inflammation (RAO/ COPD). Dosage: 50g per day for 40 days. 1 tube will last 40 days. Maximum dose of 120g per day.